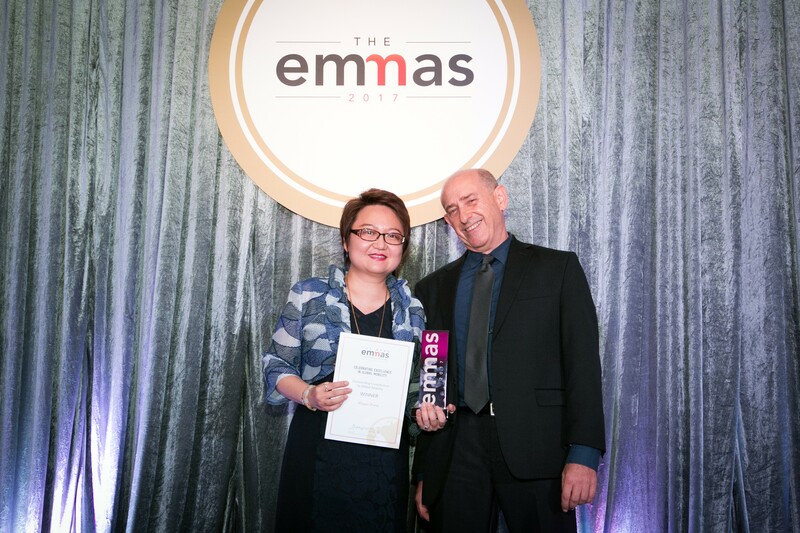 A huge congratulations to all of our APAC EMMAs Winners! 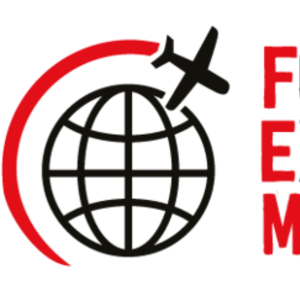 On Thursday 7 September 2017, the winners of this year’s FEM APAC EMMAs (Expatriate Management & Mobility Awards) were announced at a glittering gala dinner at the Harbour Grand Hotel, Hong Kong. 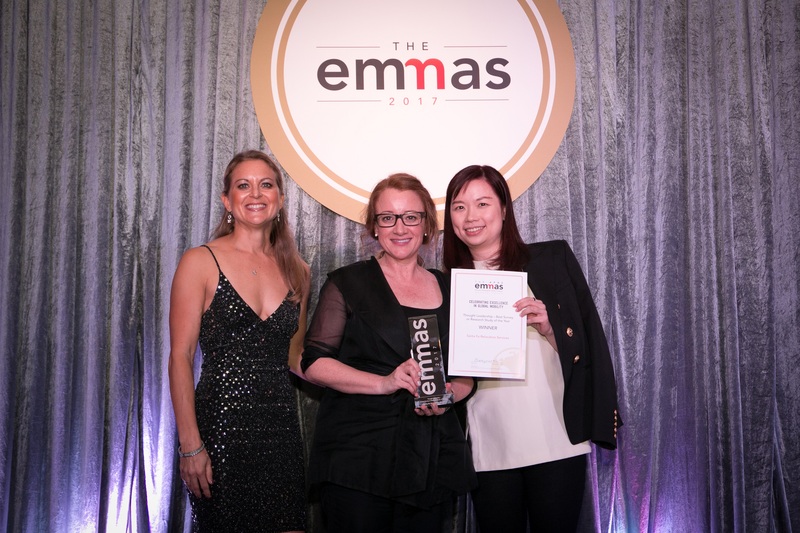 The FEM EMMAs are the premier awards for the global mobility and International HR industry and on Thursday night, following a highly successful one-day Summit, key figures, leaders and companies gathered to celebrate the brightest and best in the APAC region. Following a superb Chinese banquet the 150+ assembled guests applauded the winners, runners up and highly-commended companies, teams and individuals who were honoured across 24 categories. All submissions were judged by a panel of independent experts against a set of strict criteria. The anticipation has been building ever since entries opened in December, and the atmosphere was one of great excitement. To receive an FEM EMMA is considered a great accolade and many of the winners were justifiably proud of their achievement. FEM is very grateful to the EMMAs sponsors: Equus, Dwellworks, Fragomen, Oakwood and Sterling and to our esteemed panel of judges for all their hard work and careful consideration of every entry.